While America’s thirst for wines and premium wines continues to grow, the prime areas in Napa and Sonoma County are basically planted to capacity. Meanwhile, water rights in other areas of California are a huge issue. Water may be the greatest limitation to the growth of the industry in the nation’s #1 wine producing state. Vineyards are not the most water-intensive type of farming, but new vineyard plantings take a lot of water for the first few years. As a general rule, all mature grapes vines like it dry. Dry conditions keep their leaves dry, preventing mold, mildews and funguses from taking root on the leaves. Plus, dry weather allows for a greater concentration of sugars in the grapes, enhancing the flavor. Too much rain has the opposite effect, diluting the flavor. Balance is key. Long periods of extremely dry weather cause smaller harvests and potential damage to young vines, which are expensive to plant and take years to reach maturity. Typically it takes two years for a vine to bear fruit, so a drought this year could devastate crops for the following harvests. 2013 was the driest year California had seen in over 119 years, and the state is currently in its 13th month in drought. As the drought tightens its grip on California, it could have a worrying impact on the state’s $61 billion wine industry. While the conditions will not be too damaging on the 2014 crop, it could damage the buds appearing for 2015. Paso Robles, one of the hottest areas on California’s coast (both figuratively and literally), has seen its water level drop 70 feet (21 meters) in some areas. 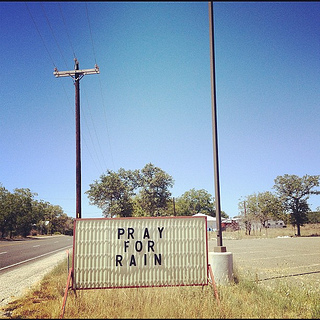 Local residents are complaining as their wells have run dry. The water issues highlight traditional tensions between groups that claim the state’s limited water for their own priorities – farmers, city residents and conservationists. But it doesn’t have to be about choosing between fish and farms or people and the environment. 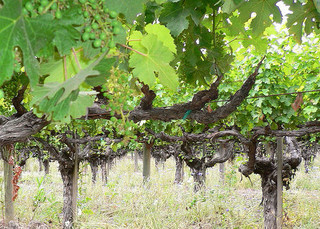 This stressful situation simply serves to focus our attention on the need for better water management by vineyard managers (and other farmers) and a recognition of the necessity for conservation of water resources as a critical element of responsible farming and sustainable wine growing by the state’s wineries. Water balance models can correctly estimate seasonal water deficit at a regional scale. In Bordeaux, for example, vintage quality is often determined by the intensity of water deficit stress rather than by air temperatures. 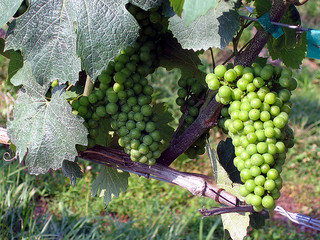 Vine phenology and grape ripening are highly dependent on water uptake conditions. Mild water deficit stress enhances grape quality for the production of red wines. Quality losses through severe water stress can be avoided through the use of drought-adapted plant material, appropriate canopy management, yield reduction or the implementation of deficit irrigation. Even the wine industry in a country that’s literally swimming in clean water New Zealand– worries about managing such an abundant resource. Why do they worry? Because water is one of Earth’s most precious resources, and a “waste not” philosophy now is the means to ensure a “want not” future. New Zealand is famously water-rich over 50 major rivers, more than 770 lakes, and any number of underground aquifers are packed into this small country. They also enjoy plentiful rainfall estimated at between 300 billion and 600 billion cubic meters per year. For all that abundance, New Zealand wine producers don’t take water management lightly. Water is of critical importance to the industry both for irrigation and in wine making; sustainable water management includes minimizing water use and protecting the purity of water sources. Practices that other parts of the world are now adopting are routine there: drip irrigation systems and scheduled irrigation are mainstays of vineyards water management programs. As well as saving water, they prevent the problems that excess soil water can cause: an increase in disease, reduction in fruit quality, and leaching or surface runoff that degrade ground water. In NZ wineries, where there’s a demand on water for processing and cleaning, water management focuses on minimization and wastewater management from production through treatment, recycling and discharge. Hot water used for sterilization in bottling can be used again for other activities such as cleaning operations. This not only saves energy, it reduces water usage which in turn reduces the quantity of wastewater a winery needs to treat before discharging. This drought situation in California, the debate over depletion of aquifers and competing demands for a community’s water resources should give the wine industry just the push it needs to make water management a critical aspect of its sustainability agenda and a vineyard’s priorities. This journal entry was the third in a series on sustainability in the wine industry. Check back often, as I’ll continue to share insights on sustainable wines and how consumers can become more aware of this “green” trend in wine. I’ll also introduce some high quality and great tasting wines that are sustainably produced and share the stories of the winemakers’ commitment to these growing practices.